The People’s Committee of the central highlands province of Lam Dong has released a document on strengthening management of traditional festivals and banning buffalo stabbing ritual- a part of the traditional cultural festival of ethnic minorities in the province. Accordingly, the provincial People’s Committee asked the Department of Culture, Sport and Tourism to cooperate with relevant units and local authorities to limit the number of festivals, not giving permission for festivals with commercial or trade purposes and presenting violation of the rules implementing civilized lifestyle. 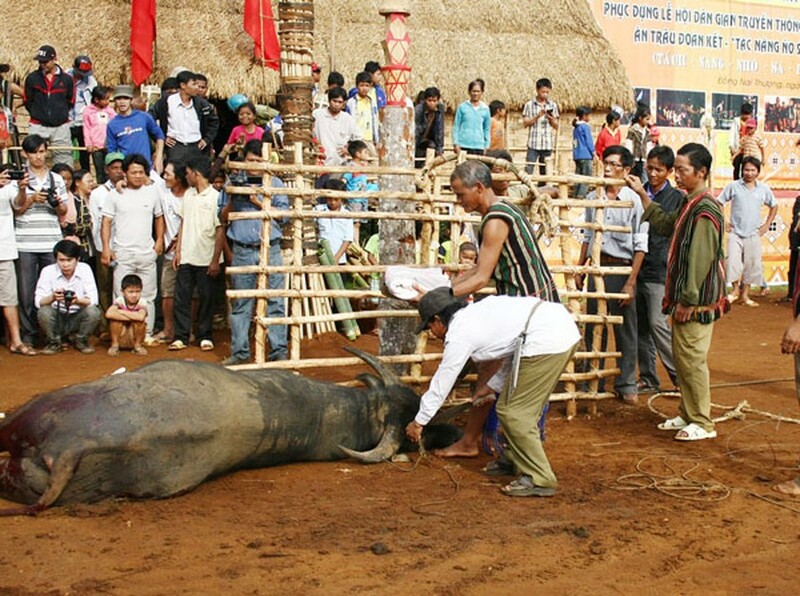 The buffalo stabbing ritual is a tradition of ethnic groups, who believe that when they sacrifice a buffalo to gods, they will be blessed with good health and bumper crops. Researchers suggest not holding festivals depicting evil activities of brutality and violence because of its negative impact on animal welfare issues and society. The authorities need to consider brutal rituals carefully, though they are traditional, since they have bad effect on the society.